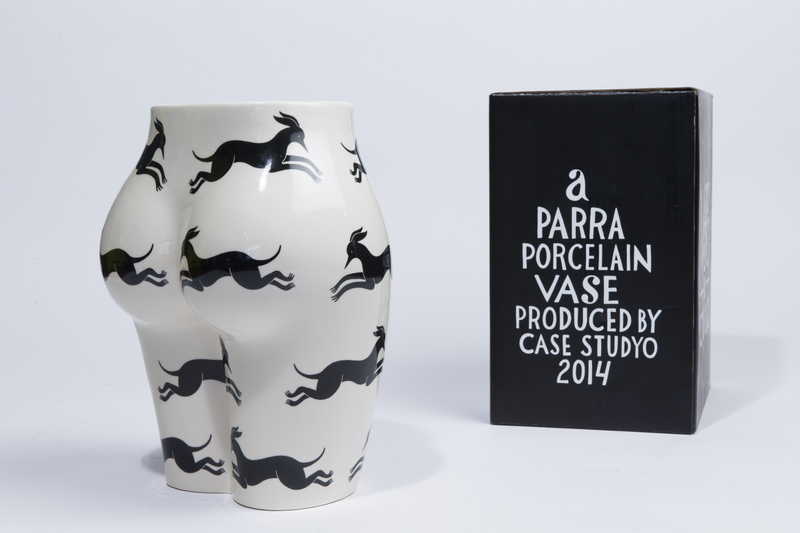 In no time this vase with it’s characteristic shape has become an iconic object, a true Parra classic. This new design is the second one in this ‘Vaso di Culo’ series and can be used for flowers or just as a sculptural object. ‘Vaso di Culo – Running in Circles’ is a cream colored porcelain vase in the form of a rounded and chopped female figure, with black dogs running around.